Turrentine was having problems with his live-in girlfriend, Anita Louise Richardson, and moved out of the house. He later suspected Anita was having affairs with other men and came to believe that his sister, Avon Stephenson, knew about the affairs and that the two women were cheating him out of money in order to support their drug habits. Turrentine got a .22 caliber handgun from his ex-wife and confronted his sister about Anita's supposed affairs. Avon apparently laughed in Turrentine's face and Turrentine shot her in the head. Turrentine then drove to Anita's house, and during an argument he shot Anita and her two children in the head. After this carnage, Turrentine talked to a 911 operator and declared that he had shot his "ol lady," his kids, and his sister. He waited for police to arrive and again admitted to the shootings. Turrentine v. State, 965 P.2d 955 (Okla.Crim.App. 1998) (Direct Appeal). Turrentine v. State 965 P.2d 985 (Okla.Crim.App. 1998) (PCR). 10 slices of cheesecake, 10 pieces of fried chicken and fried catfish. "I've always maintained I've been innocent of crimes charged. This is a violation of my 14th Amendment rights. It's not over. With that being said, Mom, Dad, I love you all. Be strong." The Oklahoma Court of Criminal Appeals today set Aug. 11 as the execution date for Tulsa County death row inmate Kenneth Eugene Turrentine. Attorney General Drew Edmondson requested the execution date June 6 after the United States Supreme Court denied Turrentine’s final appeal. Turrentine was convicted of the June 4, 1994, murders of his sister, Avon Stevenson, 48, his girlfriend, Anita Louise Richardson, 39, and Richardson’s children, Tina L. Pennington, 22, and Martise D. Richardson, 13. Turrentine shot Stevenson at her home, 8130 East 12th St. in Tulsa. Richardson and her children were shot in their home, 2518 South 121st East Avenue in Tulsa. Turrentine suspected Richardson was having an affair and that Stevenson knew of the alleged affair. After the shootings, Turrentine called 911 and admitted to the shootings. He waited for police to arrive and again admitted to the shootings. The Oklahoma Court of Criminal Appeals has set an Aug. 11 execution date for a death row inmate who was convicted of killing four people in 1994. Attorney General Drew Edmondson requested an execution date for Kenneth Eugene Turrentine after the U.S. Supreme Court denied his final appeal. Turrentine was found guilty of killing his sister, Avon Stevenson, his girlfriend, Anita Richardson, and Richardson's children Tina Pennington and Martise Richardson on June 4, 1994, in Tulsa. Prosecutors said Turrentine suspected Richardson was having an affair and that his sister knew about it. They said Turrentine called 911 and admitted to the shootings. From appellate court account of this case: On June 4, 1994, Turrentine killed his sister Avon Stevenson, his estranged girlfriend Anita Richardson, and Anita's two children, thirteen year old Martise Richardson and twenty-two year old Tina Pennington. For three months leading up to the deadly events of that June, Turrentine and Anita Richardson had been experiencing such problems in their relationship that Turrentine had moved out of the home they once shared. Turrentine moved in with his sister Avon Stevenson. While separated from Anita and living with his sister, Turrentine began to believe that Anita was having an affair with two other men, and that his sister Avon knew of these affairs because she was apparently a friend and confidant of Anita's. Whether true or not, he also came to believe that Anita and Avon were cheating him out of money in order to support their drug habits. On June 3, 1994, the day before the murders, Turrentine telephoned his ex-wife, Catherine Turrentine, and told her that he was at Anita's house and that things were "about to come to a head." That same day, he asked his ex-wife to return to him a .22 caliber pistol, but she refused. He returned to make the same request the next morning, June 4, 1994, and this time his ex-wife gave Turrentine the loaded pistol. Later in the day on June 4, 1994, Turrentine confronted his sister about Anita's supposed affairs, and an argument ensued. Avon apparently laughed in Turrentine's face during this argument and called him a "punk." In response, Turrentine placed the .22 caliber pistol to Ms. Stevenson's head and fired; she died at the scene. Turrentine then drove to Anita's house, where the two began to argue. As they argued, they moved from the front to the back bedroom of the house and, after more argument and struggle, Turrentine shot Anita Richardson in the head. She died at the scene. He subsequently shot both Martise and Tina in the head, and they died at the scene as well. After this carnage, Turrentine talked to a 911 operator and declared that he had shot his "ol lady," his kids, and his sister. When officers arrived at the scene, they immediately took Turrentine into custody and advised him of his Miranda rights. Turrentine waived his rights and told the officers that he had shot his sister, his estranged girlfriend, and his girlfriend's two children. A medical examiner later confirmed that Ms. Stevenson, Ms. Richardson, Martise, and Tina had all died from gunshot wounds to the head. UPDATE: A Tulsa man was put to death Thursday evening for killing his ex-girlfriend in a jealous rage that prosecutors said claimed three other lives, including the women's children. Kenneth Eugene Turrentine, 52, died at 6:10 p.m. in Oklahoma's death chamber, shortly after an injection of drugs stopped his heart. Less than an hour earlier, the U.S. Supreme Court had denied his last-minute appeal, clearing the way for the state to carry out his death sentence for the June 4, 1994 shooting of Anita Richardson, 39. Turrentine originally was convicted and sentenced to death as well for the killings of Richardson's 13-year-old son, Martise, and her 22-year-old daughter Tina Pennington. But a federal appeals court last year threw out the convictions in the case of Richardson's children because of a judge's error during the trial. Turrentine received a no-parole life term for killing his sister, Avon Stevenson, 48, the same day. Prosecutors said Turrentine believed Richardson was seeing other men and that his sister was helping her deceive him. He first went to his sister's home and confronted her with his accusations, they said. When she laughed at him and called him a "punk," he shot her in the head. He then went to Richardson's Tulsa home, where the other shootings occurred. A week ago, Turrentine told the Pardon and Parole Board about the alcohol and the antidepressants he'd taken at the time. But in the end, he couldn't answer the board members' questions about motive. "I've been struggling with that for years," he said, just before the board declined to spare him. Turrentine's mother, Dorothy Vinson, who is also Stevenson's mother, had begged the board to spare his life, saying, "it wasn't the Kenneth that everyone knows" who had committed the murders. But Richardson's sister, Teresa Youngblood, told the board in a letter about the pain of her family's loss. "A very small and close-knit family with many years of happiness, love and joy (as well as problems just as any other family may have) suddenly and abruptly became even smaller on that sad and horrific night," she wrote. She described Richardson as "a vibrant, fun-loving, joyful person to be around." Pennington had been born blind and mentally disabled and had survived several life-threatening surgeries, she said. And Martise was a quiet and smart boy, "who loved no one more than his mother," she said. "The man of the family, he tried to protect his mother on may occasions, even the night of her death," Youngblood wrote. Prosecutors contended the killings were calculated. They argued that Turrentine obtained a .22-caliber pistol fro m his ex-wife the morning of the murders and shot all four victims in the head. 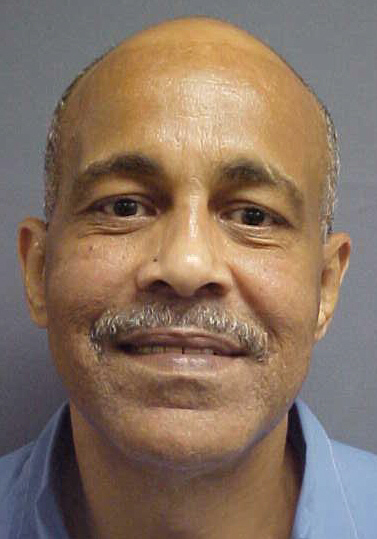 The state of Oklahoma is scheduled to execute 52-year-old Kenneth Eugene Turrentine, a black man, on Aug. 15, 2005 for the June 4, 1994 murder of his estranged girlfriend, Anita Richardson, her daughter, 22-year-old Tina Pennington and her child, 13-year-old Martise Richardson. Turrentine also shot his sister, Avon Stevenson, in Green County. Turrentine confessed to the murders in a 911 call and again to the police after they had read him his Miranda warning. The errors in Turrentine’s trial included failure to give proper instructions to the jury with regard to second-degree murder, prejudicial victim impact testimony and a claim of ineffective assistance of trial counsel. Furthermore, evidence that Turrentine was abused as a child was never brought to the attention of the jury. The Oklahoma Court of Criminal Appeals’ jury instructions regarding sentencing options were found to be prejudicial. The court found that when this type of instruction is given it has a “substantial and injurious effect, or influence in determining the jury’s verdict.” It found that it would infect the entire trial so that the resulting conviction violates due process. However, this alone was not enough to overturn his conviction. Another claim of Turrentine was that the trial court violated his rights by excluding certain mitigating evidence from the sentencing stage of his trial. Specifically, Turrentine contended that it should have allowed testimony as to his diminished capacity at the time of the murders. Although the trial court admitted similar evidence at the guilt stage of the trial, it excluded this type of evidence from the sentencing stage. Mr. Turrentine now claims that the exclusion of this mitigating evidence was improper because sentencing courts may not refuse to consider, as a matter of law, any relevant mitigating evidence. His final claim was ineffective assistance of counsel. He contended that trial counsel failed to properly present evidence of his mental health. They jury was not informed that Turrentine suffered from abuse as a child. Had the jury been aware of this information, the mitigating evidence may have outweighed the aggravating circumstances surrounding the crime. In short, Turrentine has not had a chance to prove he did not have a healthy mental state at the time of the murders. The jury instructions made it impossible for him to be convicted of anything less than 1st degree murder. Mitigating evidence that might have made the jury convict him of a lesser charge was never presented. Turrentine has not had the opportunity for a jury of his peers to determine whether a death sentence is appropriate considering all factors surrounding the case. Please contact Gov. Brad Henry and the Oklahoma Board of Pardons and Paroles and ask them to stop the execution of Kenneth Turrentine. McALESTER (AP) - A Tulsa man was put to death Thursday evening for killing his ex-girlfriend in a jealous rage that prosecutors said claimed three other lives, including the woman's children. Kenneth Eugene Turrentine, 52, died at 6:10 p.m. in Oklahoma's death chamber, three minutes after receiving an injection of drugs that ultimately stopped his heart. Less than an hour earlier, the U.S. Supreme Court had denied his last-minute appeal, clearing the way for the state to carry out his death sentence for the June 4, 1994 shooting of Anita Richardson, 39. "I've always maintained I've been innocent of the crime charged," Turrentine said in his final statement, adding that his 14th Amendment rights to due process had been denied. "I love you all. You all be strong," Turrentine said, just before the execution began. Turrentine originally was convicted and sentenced to death as well for the killings of Richardson's 13-year-old son, Martise, and her 22-year-old daughter Tina Pennington. But a federal appeals court last year threw out the convictions in the case of Richardson's children because of a judge's error during the trial. McALESTER (AP) - A Tulsa man was put to death Thursday evening for killing his ex-girlfriend in a jealous rage that prosecutors said claimed three other lives, including the women's children. Kenneth Eugene Turrentine, 52, died at 6:10 p.m. in Oklahoma's death chamber, shortly after an injection of drugs stopped his heart. Less than an hour earlier, the U.S. Supreme Court had denied his last-minute appeal, clearing the way for the state to carry out his death sentence for the June 4, 1994 shooting of Anita Richardson, 39. Turrentine originally was convicted and sentenced to death as well for the killings of Richardson's 13-year-old son, Martise, and her 22-year-old daughter Tina Pennington. But a federal appeals court last year threw out the convictions in the case of Richardson's children because of a judge's error during the trial. Turrentine received a no-parole life term for killing his sister, Avon Stevenson, 48, the same day. Prosecutors said Turrentine believed Richardson was seeing other men and that his sister was helping her deceive him. He first went to his sister's home and confronted her with his accusations, they said. When she laughed at him and called him a "punk," he shot her in the head. He then went to Richardson's Tulsa home, where the other shootings occurred. A week ago, Turrentine told the Pardon and Parole Board about the alcohol and the antidepressants he'd taken at the time. But in the end, he couldn't answer the board members' questions about motive. "I've been struggling with that for years," he said, just before the board declined to spare him. Turrentine's mother, Dorothy Vinson, who is also Stevenson's mother, had begged the board to spare his life, saying, "it wasn't the Kenneth that everyone knows" who had committed the murders. But Richardson's sister, Teresa Youngblood, told the board in a letter about the pain of her family's loss. "A very small and close-knit family with many years of happiness, love and joy (as well as problems just as any other family may have) suddenly and abruptly became even smaller on that sad and horrific night," she wrote. She described Richardson as "a vibrant, fun-loving, joyful person to be around." Pennington had been born blind and mentally disabled and had survived several life-threatening surgeries, she said. And Martise was a quiet and smart boy, "who loved no one more than his mother," she said. "The man of the family, he tried to protect his mother on may occasions, even the night of her death," Youngblood wrote. OKLAHOMA CITY (Reuters) - An Oklahoma man was executed on Thursday for murdering his girlfriend because he thought she was cheating on him, a prison spokesman said. Before being given a lethal injection, Kenneth Eugene Turrentine, 52, proclaimed his innocence, despite an earlier confession. In addition to fatally shooting Anita Louise Richardson, 39, in Tulsa in 1994, Turrentine was convicted of murdering his sister, Avon Stevenson, 48, and Richardson's children, Tina Pennington, 22, and Martise Richardson, 13. The convictions for the children's murders were overturned by a U.S. appeals court but Turrentine received a life sentence for his sister's murder. He had believed his sister was helping Richardson date other men. After the slayings, Turrentine called police and admitted the killings, police said. He said he was under the influence of antidepressants and alcohol at the time. On Thursday, while strapped to a gurney in the death chamber, Turrentine said he was innocent. "I've always maintained I've been innocent of crimes charged," he said. "This is a violation of my 14th Amendment rights. It's not over. With that being said, Mom, Dad, I love you all. Be strong." The 14th Amendment to the U.S. Constitution ensures due process of the law and equal treatment of all citizens and was adopted to protect former slaves after the Civil War. For his final meal, Turrentine requested 10 slices of cheesecake, 10 pieces of fried chicken and fried catfish. McALESTER, Okla. (AP) - A Tulsa man was put to death Thursday evening for killing his ex-girlfriend in a jealous rage that prosecutors said claimed three other lives, including the women's children. Kenneth Eugene Turrentine, 52, died at 6:10 p.m. in Oklahoma's death chamber, shortly after an injection of drugs stopped his heart. Less than an hour earlier, the U.S. Supreme Court had denied his last-minute appeal, and the state carried out his death sentence for the June 4, 1994 shooting of Anita Richardson, 39. McALESTER - The frail elderly woman had already buried a daughter and now her son, the killer, lay on a gurney in the Oklahoma State Penitentiary saying his last words. "I love you all," Kenneth Eugene Turrentine said, trying to lift his head to see where Dorothy Vinson sat. "You all be strong." "I love you," Vinson cried back before falling into the low sobs that filled the death chamber as Turrentine was executed Thursday evening. The 52-year-old was put to death for the murder of his estranged girlfriend, Anita Richardson, 39, during a 1994 shooting rampage in Tulsa that also left her children and Turrentine's own sister dead. Vinson had asked the Pardon and Parole Board a week ago to spare her son's life, but the board refused and the U.S. Supreme Court rejected Turrentine's final appeal an hour before he received a lethal mix of drugs. "I've always maintained I've been innocent of the crime charged," Turrentine said when asked if he had anything he wanted to say. He said his 14th Amendment rights to due process had been denied. Turrentine had said he'd been using alcohol and antidepressants at the time of the killings, and in previous appeals had argued the jury should have been allowed to consider convicting on a lesser offense because of diminished mental capacity. Prosecutors said Turrentine believed Richardson was seeing other men and that his sister was helping her deceive him. He shot his sister, 48-year-old Avon Stevenson, at her home before going to Richardson's home and killing her. Turrentine, who called 911 after the shootings, was convicted and sentenced to death as well for the killings of Richardson's 13-year-old son, Martise, and her 22-year-old daughter Tina Pennington. But a federal appeals court last year threw out those convictions because of a judge's error during the trial. Turrentine received a no-parole life term for his sister's slaying. Jerry Richardson, who was separated from his wife Anita at the time, said the deaths brought years of suffering. He said the pain hits when he meets young men who are the age his son, an aspiring basketball player, would have been had he lived. Richardson said he didn't agree with Turrentine's statement of innocence but said he had forgiven him. "I hope he made peace with God," Richardson said. Family members remembered Ms. Richardson as fun-loving and a joy to be around. Pennington had been born blind and mentally disabled but Richardson said he encouraged her in her dreams of becoming a teacher. Martise's aunt, Teresa Youngblood, called him a quiet and smart boy "who loved no one more than his mother." Turrentine's eyes flickered as the lethal mix of drugs began to flow. He let out five deep breaths and then was still. He was pronounced dead three minutes later at 6:10 p.m. When it was over, his mother cried, "Let me get out of here," but paused just before she left the death chamber. She placed her hand on the window that separated her from the room where her son's body lay and tearfully patted it. Turrentine was the 159th Oklahoma inmate put to death at the McAlester prison. "Clemency Denied For Oklahoma Death Row Inmate." McALESTER, Okla. (AP) _ An Oklahoma death row inmate convicted of killing his estranged girlfriend is scheduled to be executed Thursday after his request for clemency was denied by the Oklahoma Pardon and Parole Board. The board unanimously denied clemency Friday for Tulsa County killer Kenneth Eugene Turrentine, 52. He was sentenced to die for the 1994 killing of his estranged girlfriend, Anita Richardson, who was shot at her Tulsa home. He also received a no-parole life term for fatally shooting his sister, Avon Stevenson, in Tulsa on the same day. A federal appeals court threw out his convictions and death sentences for the shooting deaths of Richardson's children, Tina Pennington and Martise Richardson. Turrentine, who turned himself in immediately after the murders, apologized for the deaths but couldn't answer several board members' questions about the motive for his crimes. ``I've been struggling with that for years,'' he said. Turrentine said he drank and took the antidepressants in the hope that it would help him fall asleep following bouts of insomnia. Defendant was convicted in the District Court, Tulsa County, B.R. Beasley, J., of four counts of first degree murder, and was sentenced to death on three counts and to life imprisonment without possibility of parole on remaining count. Appeal was taken, and the Court of Criminal Appeals, Lumpkin, J., held that: (1) valid race-neutral reasons existed for peremptory strikes of black jurors; (2) court's removal of juror who stated that she would be absent during trial to observe Jewish holiday of Rosh Hashanah was permissible; (3) any error in second degree murder instructions was harmless; (4) evidence did not support instruction on voluntary intoxication, or first degree manslaughter; (5) defendant did not receive ineffective assistance of counsel; (6) alleged prosecutorial misconduct did not warrant relief; (7) evidence supported findings of death penalty aggravators of great risk of death and continuing threat for all three murders for which death penalty was imposed, and especially heinous, atrocious, or cruel murder for two of murders; and (8) death sentences was appropriate notwithstanding unsupported finding that third murder was especially heinous. Affirmed, and rehearing denied. Appellant Kenneth Eugene Turrentine was tried by jury and convicted of four (4) counts of First Degree Murder (21 O.S.1991, § 701.7), Case No. CF-94-2784, in the District Court of Tulsa County. In Counts I, II, and III, the jury found the existence of three (3) aggravating circumstances and recommended the punishment of death. In Count IV, the jury found the existence of two (2) aggravating circumstances and recommended as punishment life imprisonment without the possibility of parole. The trial court sentenced accordingly. From this judgment and sentence Appellant has perfected this appeal. On June 4, 1994, Appellant killed his sister Avon Stevenson, his girlfriend, Anita Richardson, and her two children, thirteen (13) year old Martise Richardson and twenty-two (22) year old Tina Pennington. Appellant suspected Anita of seeing other men and believed his sister Avon knew about Anita's affairs. He also believed Anita and Avon were cheating him out of money. On June 3, 1994, Appellant sought to retrieve a gun he had given to an ex-wife. She initially refused but turned the loaded .22 caliber gun over to him the next morning. After retrieving the gun, Appellant went to his sister's home. Appellant confronted his sister with his beliefs and an argument ensued. Appellant's sister apparently laughed in his face and called him a "punk." In response, Appellant placed the gun to her head and fired one shot. She died at the scene. Appellant then drove to Anita Richardson's home. The two argued and Appellant placed the gun to her head and fired a shot. She died at the scene. Appellant also shot both of Anita's children in the head. After the shootings, Appellant called 911 and admitted to shooting his "ol lady," his kids and his sister. He then went outside to wait for the police to arrive. Upon their arrival, he again confessed to the killings. In his tenth assignment of error, Appellant contends the evidence was insufficient to support the "continuing threat" aggravator. To support the aggravator of continuing threat, the State must present evidence showing the defendant's behavior demonstrated a threat to society and a probability that threat would continue to exist in the future. Hain v. State, 919 P.2d 1130, 1147 (Okl.Cr.1996). A finding that the defendant would commit criminal acts of violence that would constitute a continuing threat to society is appropriate when the evidence establishes 1) the defendant participated in other unrelated criminal acts; 2) the nature of the crime exhibited the calloused nature of the defendant; or 3) the defendant had previously been convicted of a crime involving violence. Battenfield v. State, 816 P.2d 555, 566 (Okl.Cr.1991); cert. denied, 503 U.S. 943, 112 S.Ct. 1491, 117 L.Ed.2d 632 (1992). To prove this aggravating circumstance, this Court has held that "the State may present any relevant evidence, in conformance with the rules of evidence, ... including evidence from the crime itself, evidence of other crimes, admissions by the defendant of unadjudicated offenses or any other relevant evidence." Id. In the present case, the State presented no evidence of a prior criminal history. Therefore we look to the circumstances surrounding the murders of which Appellant was convicted. In determining the callousness of the crime, the defendant's attitude is critical to the determination of whether he poses a continuing threat to society. Hain, 919 P.2d at 1147. "A defendant who does not appreciate the gravity of taking another's life is more likely to do so again." Id. quoting Snow v. State, 876 P.2d 291, 298 (Okl.Cr.1994). Appellant's own words and actions show the callousness with which the murders in this case were committed. After shooting his sister, girlfriend and his two children, Appellant sat outside smiling and waited for the police to come. In subsequent interviews with police, he asked if the police could let the men Anita was supposedly having an affair with out of jail so he could kill them. Appellant laughed when he talked about shooting one of the men. Appellant also talked of having a shoot-out with the police. He admitted to shooting his victims but showing no remorse, stating he could have left them and the police would not have found them for several days. This evidence of Appellant's attitude and actions showed he has a propensity to violence which makes him a continuing threat to society. Accordingly, this assignment of error is denied. Turning to the mitigating evidence, Appellant presented nine (9) witnesses, including Appellant's ex-wife, her two sisters, Appellant's daughter, his mother and step-father, mental health professionals, and a co-worker. These witnesses testified that Appellant had no significant history of criminal activity; that in committing the murders he acted in response to a strong depression and loss of control; he fully cooperated with police; was contrite and remorseful; that he had made a good adjustment to life in jail and is a positive influence on other prisoners; that the murders were totally out of character for Appellant; that Appellant had always been supportive and responsive to his family; that he worked all of his life; he interceded on behalf of a sister-in-law who believed she was in the process of being assaulted as a teenager; he had been generous to others all his life; and after his parents divorce, he was looked upon by his mother and sisters as the man of the family. This evidence was summarized into thirteen (13) factors and submitted to the jury for their consideration as mitigating evidence, as well as any other circumstances the jury might find existing or mitigating. Upon our review of the record and careful weighing of the aggravating circumstances and the mitigating evidence, we find the sentence of death to be factually substantiated and appropriate in Counts I and II. As to Count III, after carefully and independently reweighing the two valid aggravating circumstances against the mitigating evidence, we find beyond a reasonable doubt that the jury in this case would have sentenced Appellant to death even if it had not considered the invalid aggravator. Accordingly, we find the death sentence in Count III to be factually substantiated and appropriate. Under the record before this Court, we cannot say the jury was influenced by passion, prejudice, or any other arbitrary factor contrary to 21 O.S.1991 § 701.13(C), in finding that the aggravating circumstances outweighed the mitigating evidence. Accordingly, finding no error warranting modification, the sentences of death for Counts I, II and III and the sentence of life imprisonment without the possibility of parole for Count IV are hereby AFFIRMED. After carefully reviewing Petitioner's Application for post-conviction relief, we conclude (1) there exists no controverted, previously unresolved factual issues material to the legality of Petitioner's confinement; (2) Petitioner could have previously raised collaterally asserted grounds for review; (3) grounds for review which are properly presented have no merit; and (4) the current post-conviction statutes warrant no relief. 22 O.S.Supp.1995, § 1089(D)(4)(a)(1), (2) & (3). Accordingly, Petitioner's Application for Post-Conviction Relief is DENIED. Turrentine v. Mullin, 390 F.3d 1181 (10th Cir. 2004) (Habeas). Background: Following affirmance of his convictions of four counts of first degree murder and sentences of death on three of the counts and life without parole on fourth count, 965 P.2d 955, petitioner sought habeas relief. The United States District Court for the Northern District of Oklahoma, Terry C. Kern, J., granted petition in part, but denied habeas relief. Petitioner appealed. (3) counsel was not ineffective. Affirmed in part and reversed in part. McCONNELL, Circuit Judge. Currently on death row in the State of Oklahoma, Petitioner Kenneth E. Turrentine ("Mr. Turrentine" or "Petitioner") appeals the final order of the United States District Court for the Northern District of Oklahoma, which denied him a writ of habeas corpus on his petition filed pursuant to 28 U.S.C. § 2254. Mr. Turrentine was convicted in the Oklahoma courts on four counts of first degree murder. On three of those counts, he was sentenced to death; on the remaining count, he was sentenced to life in prison without the possibility of parole. He is currently an inmate of the Oklahoma State Penitentiary under the custody of Warden Mike Mullin. For the reasons set forth below, we reverse in part and affirm in part the decision of the district court. The facts as found by the state court are, pursuant to 28 U.S.C. § 2254(e)(1), presumed correct. We recite them as adopted by the Oklahoma Court of Criminal Appeals, although we present additional facts throughout this opinion as they become pertinent to our analysis. See generally Turrentine v. State of Oklahoma, 965 P.2d 955 (Okla.Crim.App.1998)"). The facts of this case are both sad and horrific. On June 4, 1994, Mr. Turrentine killed his sister Avon Stevenson, his estranged girlfriend Anita Richardson, and Ms. Richardson's two children, thirteen year old Martise Richardson ("Martise") and twenty-two year old Tina Pennington, sometimes referred to in the briefs and record as Tina Richardson ("Tina"). See Turrentine I, 965 P.2d at 963. For three months leading up to the deadly events of that June, Mr. Turrentine and Ms. Richardson had been experiencing such problems in their relationship that Mr. Turrentine had moved out of the home they once shared. (T. Tr. 531.) Mr. Turrentine moved in with his sister Ms. Stevenson. Id. While separated from Ms. Richardson and living with his sister, Mr. Turrentine began to believe that Ms. Richardson was having an affair with two other men, and that his sister, Ms. Stevenson, knew of these affairs because she was apparently a friend and confidant of Ms. Richardson's. (T. Tr. 532); see also Turrentine I, 965 P.2d at 963. Whether true or not, he also came to believe that Ms. Richardson and Ms. Stevenson were cheating him out of money, to support their drug habits. (T. Tr. 532-33); see also Turrentine I, 965 P.2d at 963. On June 3, 1994, the day before the murders, Mr. Turrentine telephoned his ex-wife, Catherine Turrentine, and told her that he was at Ms. Richardson's house and that things were "about to come to a head." (T. Tr. 562). That same day, he asked his ex-wife to return to him a .22 caliber pistol, but she refused. (T. Tr. 561); see also Turrentine I, 965 P.2d at 963. He returned to make the same request the next morning, June 4, 1994, and this time his ex-wife gave Mr. Turrentine the loaded pistol. (T. Tr. 562-63); see also Turrentine I, 965 P.2d at 963. Later in the day on June 4, 1994, Mr. Turrentine confronted his sister about Ms. Richardson's supposed affairs, and an argument ensued. (T. Tr. 532); see also Turrentine I, 965 P.2d at 963. Ms. Stevenson apparently laughed in Mr. Turrentine's face during this argument and called him a "punk." (T. Tr. 532); see also Turrentine I, 965 P.2d at 963. In response, Mr. Turrentine placed the .22 caliber pistol to Ms. Stevenson's head and fired; she died at the scene. (T. Tr. 532); see also Turrentine I, 965 P.2d at 964. Mr. Turrentine then drove to Ms. Richardson's house, where the two began to argue. (T. Tr. 532); see also Turrentine I, 965 P.2d at 963. As they argued, they moved from the front to the back bedroom of the house and, after more argument and struggle, Mr. Turrentine shot Ms. Richardson in the head. She died at the scene. (Tr. 532); see also Turrentine I, 965 P.2d at 963. He subsequently shot both Martise and Tina in the head, and they died at the scene as well. Id. After this carnage, Mr. Turrentine talked to a 911 operator and declared that he had shot his "ol lady," his kids, and his sister. (State's Ex. No. 17); see also Turrentine I, 965 P.2d at 964. When officers arrived at the scene, they immediately took Mr. Turrentine into custody and advised him of his rights under Miranda v. Arizona, 384 U.S. 436, 444, 86 S.Ct. 1602, 16 L.Ed.2d 694 (1966). Mr. Turrentine waived his rights and told the officers that he had shot his sister, his estranged girlfriend, and his girlfriend's two children. (T. Tr. 531-33); see also Turrentine I, 965 P.2d at 964.> A medical examiner later confirmed that Ms. Stevenson, Ms. Richardson, Martise, and Tina had all died from gunshot wounds to the head. Mr. Turrentine was tried before a jury in Tulsa County District Court and was convicted of four counts of first degree murder for the killings of Ms. Richardson (count one), Martise (count two), Tina (count three), and Ms. Stevenson (count four). At the penalty phase of the trial, the jury found that three aggravating circumstances existed beyond a reasonable doubt as to counts one, two, and three: 1) that the murders were especially heinous, atrocious, or cruel; 2) that Mr. Turrentine knowingly created a great risk of death to more than one person; and 3) that there existed a probability that Mr. Turrentine would constitute a continuing threat to society. As a result, the jury returned sentences of death for each of the first three counts. As to count four, the jury found two aggravating circumstances beyond a reasonable doubt and returned a verdict of life without the possibility of parole. The Oklahoma Court of Criminal Appeals ("OCCA") affirmed all four of Mr. Turrentine's convictions and sentences. Turrentine I, 965 P.2d 955. The United States Supreme Court denied Mr. Turrentine's petition for writ of certiorari on December 14, 1998, Turrentine v. Oklahoma, 525 U.S. 1057, 119 S.Ct. 624, 142 L.Ed.2d 562 (1998), and the OCCA denied post-conviction relief on July 17, 1998. Turrentine v. State, 965 P.2d 985 (Okla.Crim.App.1998) ( "Turrentine II "). Mr. Turrentine then filed a petition for writ of habeas corpus pursuant to 28 U.S.C. § 2254 in the District Court for the Northern District of Oklahoma on August 23, 1999. App. Doc 20. The district court ruled on Mr. Turrentine's petition on January 21, 2003. The court granted the petition in part, but only as to the application of an aggravating circumstance to the charge of murder in count two. Because the district court found that striking this aggravator would not alter the punishment of death, it denied habeas relief on both the convictions and the sentences. Dist. Ct. Op. at 88. Mr. Turrentine filed a notice of appeal on January 31, 2003. The district court granted a certificate of appealability on eight grounds: 1) an improper jury instruction regarding the doctrine of transferred intent; 2) an improper instruction on second degree murder; 3) an improper instruction regarding a heinous, atrocious, or cruel aggravating circumstance; 4) the sufficiency of the evidence to support a finding of the "heinous, atrocious, or cruel" aggravating circumstance; 5) the sufficiency of the evidence to support a finding of the "great risk of death to more than one person" aggravating circumstance; 6) the trial court's improper admission of victim impact evidence; 7) the trial court's refusal to allow expert opinion for purposes of mitigation; and 8) a claim that the mitigating evidence outweighed the aggravating evidence. We granted a certificate of appealability on two additional grounds: 9) alleged ineffective assistance of trial counsel; and 10) alleged ineffective assistance of appellate counsel. We consider each of these issues in turn. For the reasons set forth above, we GRANT Mr. Turrentine's Petition for Writ of Habeas Corpus on counts two and three, and VACATE his conviction and sentence on counts two and three accordingly. However, we DENY his Petition for Writ of Habeas Corpus on count one, and AFFIRM his conviction and capital sentence on count one.